There are a lot of really good brunch places in LA, but there are hardly any vegan/gluten free brunch places in LA. That’s why me and my mom wanted to try something new last weekend. We searched the internet for a while and ended up deciding on this place the internet put in their top 7 vegan brunch restaurants in Los Angeles. And we have to say, the list was absolutely 100% correct. 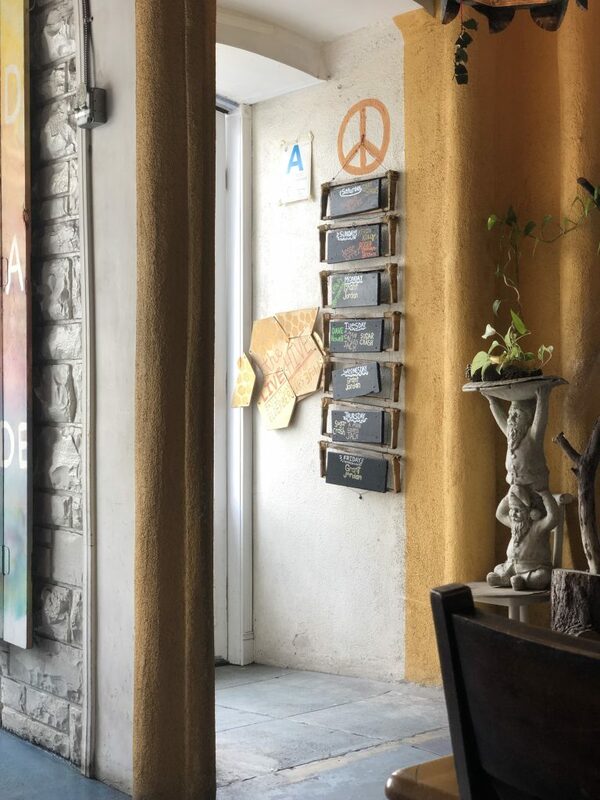 Elderberries is a restaurant in West Hollywood that features an all gluten free and vegan menu. So when my mom told me I could have anything I wanted on the menu, it was like Christmas because that just never happens. The atmosphere was terrific, the service was off the charts, and the food was on another level. I mean listen to what we ordered. 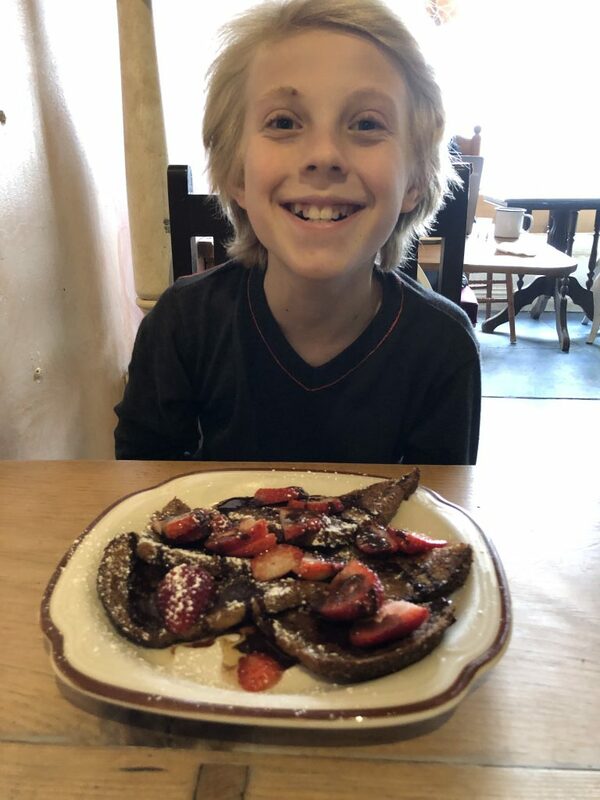 I got gluten free French toast with fresh cut strawberries on top drizzled all over with chocolate sauce and to drink I had a dairy free hot chocolate. 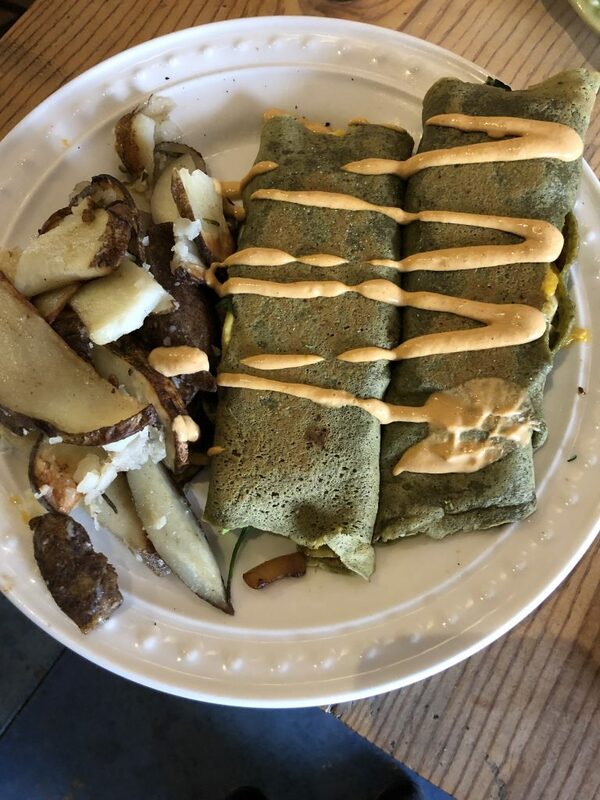 My mom got a matcha green tea latte and vegan crepes with caramelized onions, artichokes, bell peppers, daiya vegan cheese, and a vegan chipotle cream on top. Her meal also came with crispy potatoes on this side which I basically gobbled up. Are you even kidding me? I mean, how much more decadent can you get!? Another thing that I felt really positive about was their beliefs. Not only is this a restaurant, they team up to help homeless youth and all kind of organizations working on social justice issues. They stand up for what they believe in and they share that with their customers. 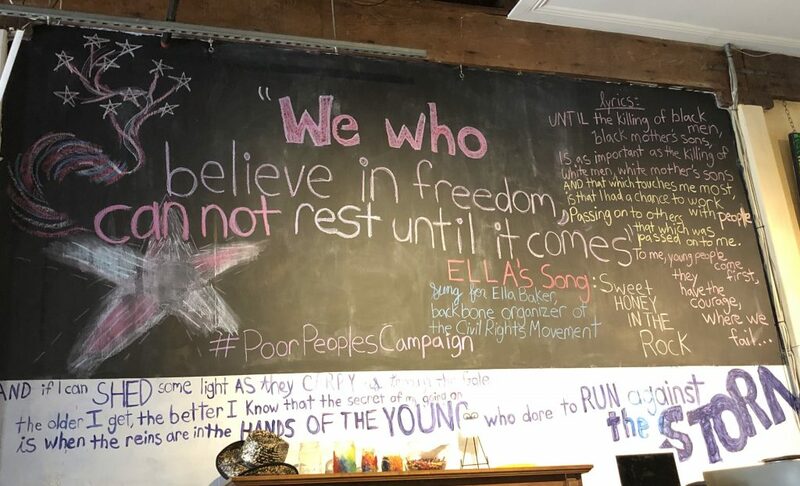 They also have a huge blackboard up at the front of the restaurant that features quotes from the civil rights movement and song lyrics that really make you think about the world. After our meal we spent some time talking with the Chef, who is named Destiny, and with the owner, Dottie. We also had a nice conversation with another customer who goes to Elderberries frequently. Everyone was so nice! Although the people were spectacular and the atmosphere got an A+, I do have to stick with the food as the highlight of the day because as you know the food is always on my mind! 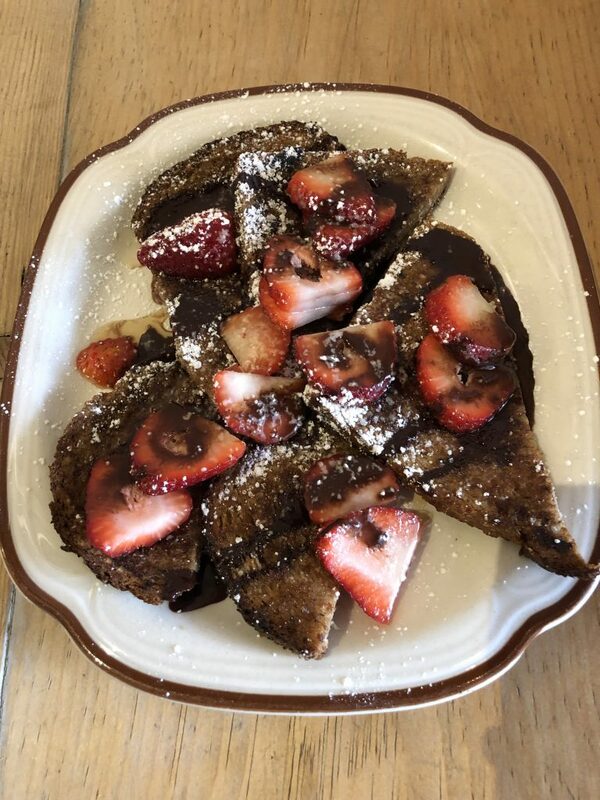 If you could get a plate filled with delicious chocolate drizzled French toast with strawberries on the top, you DON’T pass up that opportunity. A rich and sweet dish, the chocolate sauce gave a magnificent compliment to the French toast and the strawberries were the cherry (or strawberry) on top. The way these ingredients were put together and the presentation of this late morning decadent dish was exactly what I needed. I also took home a banana chocolate chip muffin and later in the day me and my mom split it. 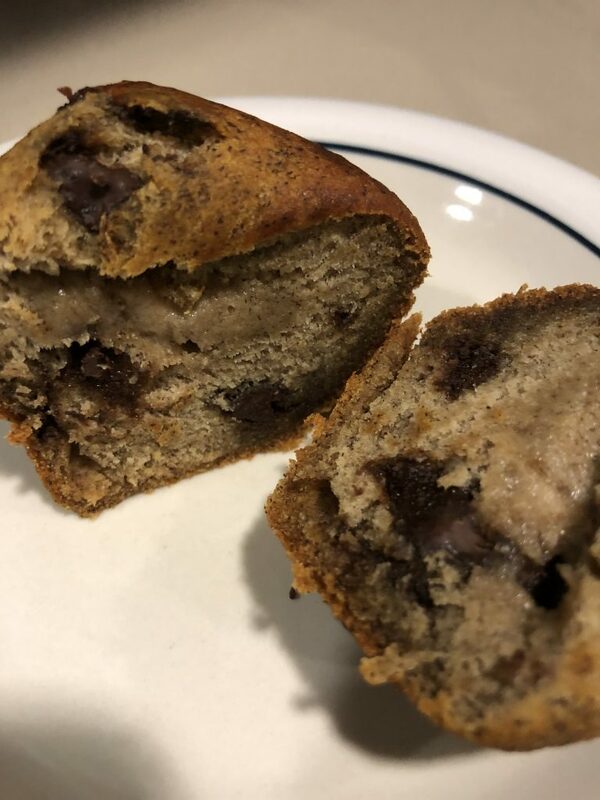 Destiny told us it was their most popular muffin and I can see why. To be honest, I was kind of disappointed that my mom wanted half of it. Even though I had eaten half her food that morning as well as my own dish I think I could eat Elderberries food all day. Not only am I going to recommend you go here but for this blog post, I practically DEMAND that you try this restaurant out. They have music most days, really friendly people that work there, interesting stories, atmosphere and of course food beyond what you could hope for. 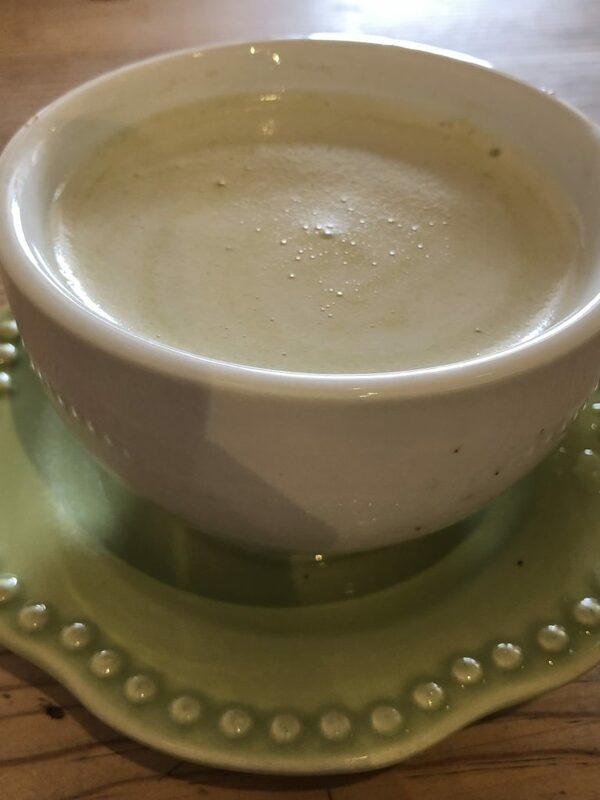 In all aspects of this restaurant, they excel and for all you vegan/vegetarian or just plain food lovers this restaurant is vital and a must have. I want to hear what you get there so when I go back (and I will go back) I will have your recommendations on what to order. Oh, I would love to try this place — your praise and that last close-up hooked me! Thanks!